Continuity is key in business. The world is hectic enough without having to deal with constant turnover on your staff, after all. One reason why a company may struggle with employee retention –– or bringing in talented outsiders –– is an inferior office design. On a subconscious level, people make snap judgements about a place the moment they enter it. Either they feel welcomed, comfortable, and motivated immediately, or they don’t. What’s more, a bland, drab work environment can lead to a lack of energy and drive within your staff. And if your staff don’t feel engaged, chances are they’ll start looking for opportunities elsewhere. There’s a school of thought in business that fretting over the details is a counter-productive measure; that sweating the small stuff will only lead to more trouble in the long run. While there’s some truth to the theory, business owners also need to be detail-oriented and perfectionists from time to time. One such instance is in the way the “non-work” elements of an office function. Cafeterias, break rooms, and bathrooms play a vital role in employee motivation, and failure to update and upgrade these areas will can lead to dysfunction and dissatisfaction within your ranks. In an ideal world, your employees would all cooperate and collaborate in perfect harmony. Unfortunately, unity between your team members is a near impossible thing to achieve. However, your office layout shouldn’t contribute to your employees’ struggle to work together. If your staff are spread out so far from each other that it makes face-to-face conversation difficult, you’ll likely face communication breakdowns. Alternatively, if your employees are tightly packed together, you could be setting them up for inevitable frustration and tension. Too much familiarity can breed contempt. Many employees don’t interact with customers at their offices. Rather, they hold phone calls, skype sessions, and write emails to solve problems with their clientele. Still, other operations depend on customers coming to a specific physical locale and interacting with staff. Businesses like car dealerships, healthcare facilities, and other service-based companies need work spaces that are appealing to customers as well as functional for employees. So if your business’s appearance doesn’t make a good impression on new customers, your team will be fighting an uphill battle from the outset. This is especially true for places that customers may associate with uncomfortable situations. Dental offices, for instance, need to work against unfounded negative stigmas and reassure nervous patients. It’s the chief reason why dental office design is so integral to a dental practice’s success. A positive attitude and dedication can only take a professional so far. At a certain point, employees in all fields need to work in an atmosphere that’s conducive to bringing the best out in them. 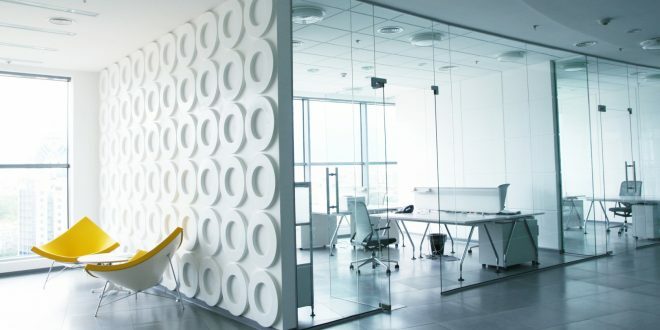 If your office doesn’t deliver that atmosphere, then you should consider a redesign or renovation. Think of it as an investment in your business’s future viability. Your employees –– and your customers –– will thank you for it later.